In the tradition of Camus and Houellebecq, Ah Hock’s vivid and compelling description of the years building up to this appalling act of violence - told over several days to a local journalist whose life has taken a different course - is a portrait of an outsider like no other, an anti-nostalgic view of human life and the ravages of hope. It is the work of a writer at the peak of his powers. 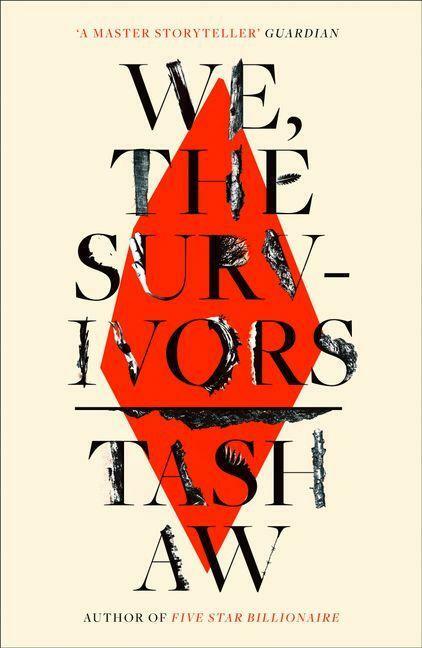 Tash Aw’s fourth novel, We, The Survivors reveals its mysteries slowly. Ah Hock, a Chinese Malaysian man, meets with a social researcher who wants to hear his story. We know, from the start, that several years earlier Ah killed a migrant worker from Bangladesh. Now, he’s out of prison, trying to rebuild his life. He details the events leading to this night in dense fragments, circling back and forth and around the incident. It takes many pages to arrive at this decisive event because We, The Survivors is the story of much more than the facts of a crime. As Ah talks to the researcher – who also eventually comes into focus as a character – Aw builds a picture of a powerless man working hard within a diseased system. Ah describes growing up poor in a fishing village; his struggles to make more of his life by moving to Kuala Lumpur; an economic cycle in which the exploited have to exploit others in order to survive. Aw’s previous novel, the Man Booker Prize long-listed Five Star Billionaire (2013), conveys the experience of being young in Asia today, focused on four Malaysians trying to find their fortunes in Shanghai. Once again, Aw’s writing is rich with textures and insights. Similar to Albert Camus’ The Outsider, where Meursault reacts to the enervating heat, Aw constructs a world around his protagonist so vivid that we understand how Ah, living like a stranger in his homeland, also yields to his surrounds. We, The Survivors is a novel about place and class and the perverted conditions that breed violence. Yet it doesn’t provide easy conclusions – as Ah recounts, there is no clearly defined ‘why’ to his actions. Tash Aw challenges us to consider whether life is predestined and whether we have any power to change its path. It’s a profoundly moving novel.